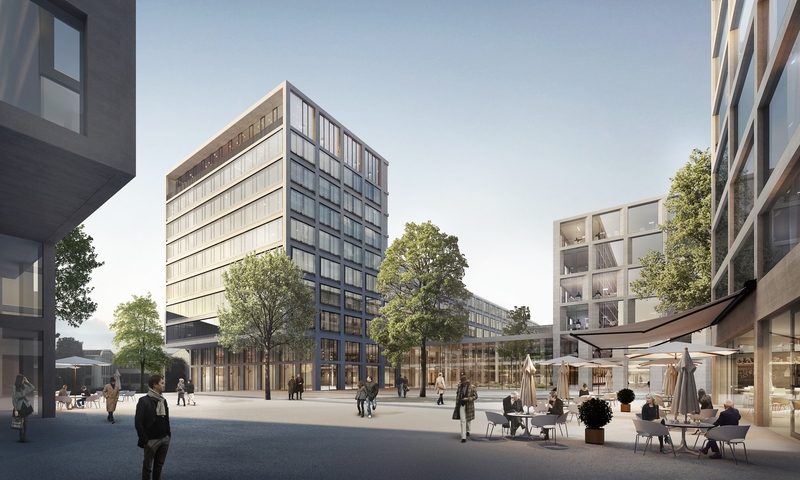 In 2009, the FDC has launched its first major real estate undertaking with the demolition of a building located in Kirchberg which had become obsolete and the organisation of an architectural competition to select the new project to be realised on the above mentioned site. 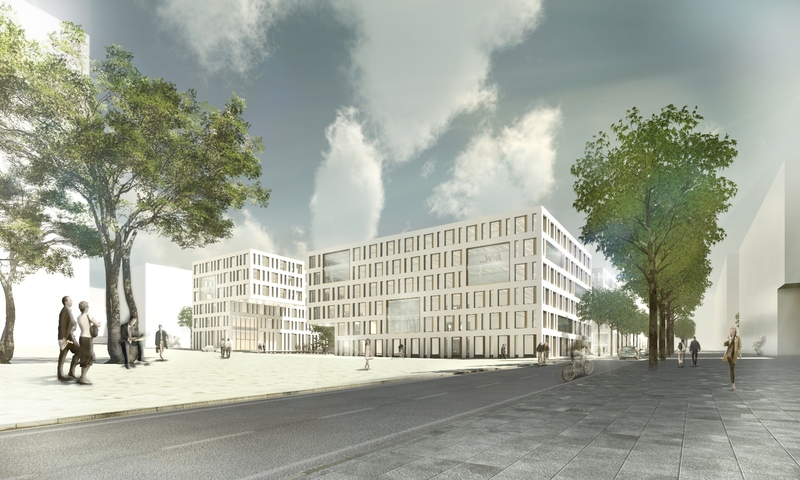 Thus, the demolition of that building was completed in 2010 and the design and preparation phase of this new project, called "Immeuble administratif Kirchberg (IAK)", was initialized. Meanwhile, several requests for proposals were launched including the missions of health and safety coordination, lead coordinator, site installation and preparatory work implementation as well as comprehensive insurance coverage of the construction site. In addition, the files relating to the "commodo-incommodo" procedure and the "BREEAM Excellent" certification were completed in 2011. The building permit was issued in late 2011 and the authorisations relating to the "commodo-incommodo" proceedings were granted by the Inspection du Travail et des Mines and the Ministère du Développement durable et des Infrastructures in early 2012. In this context, the Board of Directors of the FDC awarded several public contracts in 2012, including excavation work, structural work, façade cladding in architectural concrete, insulation and sealing work, technical installations and elevators as well as facade installation works. End of 2012, the Board of Directors also approved to use the services of two real estate agencies for promoting the rental of this building at national and international level. Concerning the building site, the year 2012 was entirely devoted to the excavation and structural work. The technical installations began in June 2013 and in September the installation of the windows and façade elements was started. In October 2013, the structural work was completed. Since then, the construction site has evolved without major difficulties and respecting the time schedule. Provisional acceptance of the works began late 2014 and in this context the final phase related to the interior design could be initiated. In late 2015, a lease agreement between the FDC and the European investment bank relating to the rental of the IAK was signed. The agreement, covering the entire complex with offices and archives of respectively 21.402 m² and 1.763 m² and 144 parking spots located in the basement, has started from 1st of January 2016 and covers a 9 year lease period. The final stage of the project, namely the completion of the rental facilities, has been achieved during the first half of 2016 so that the move of the European Investment Bank was accomplished in the months of July and August 2016. In 2012 and on the basis of feasibility studies, the FDC decided to undertake a major energy-related renovation of its building Carrefour situated in the city center. Following this decision, the public tender for the missions of consulting engineers could be closed by the Board of Directors the same year while the contract relating to the selection of an architect was awarded in late April 2013. Furthermore, the mission of lead coordination and control was assigned in November 2013. During 2014, after the respective public tenders, the FDC's Board of Directors awarded the contracts for services of technical control, energy performance and comprehensive insurance coverage as well as the contracts for remediation, dismantling and structural works and façade works containing glass and architectural concrete elements and thermal insulation. From late 2014 onwards, remediation, dismantling and structural work has been undertaken on the site. Asbestos removal operations could begin following the move of the last tenants. At the same time, preparatory work regarding the dismantling and partial demolition grew at a steady pace, as well as the dismantling of technical facilities on the roof and the dismantling of part of the façade. Subsequently, the first quarter 2015 was mainly dedicated to remediation work, the decommissioning of the technical facilities and the dismantling of the elevators. In the second quarter, adaptation work to the whole structure and the masonry, the dismantling of façade elements in concrete, the adaptation of the concrete body and the disassembly of the chassis have been targeted. Finally, sealing and façade mounting work began in the third quarter. In December 2015, a promise to lease for a period of 12 years and covering several floors representing some 5.600 m2 of the Carrefour and 40 parking places was signed with the Société Générale Bank & Trust. The year 2016 has essentially been dedicated to the finalization of the structural work, the technical facilities as well as the façade. In this context, first acceptances of the works were noted end of 2016 and by this way the project was completed towards the end of the first half of 2017. Regarding the lease of the given building, building also certified "BREEAM Excellent", a lease agreement was signed with the Société Générale Bank & Trust in June 2016. The said agreement, having taken its effects already from 1st of November 2016 onwards for a period of 12 years, covers 5.607 m2 of office space, 250 m2 of archival storage as well as 40 parking spots. Currently, the FDC is in advanced negotiations regarding the remaining surfaces of 5.000 m2. Finally, a major real estate project was initiated in 2014. Indeed, the FDC was looking for a plot of land on the territory of the City of Luxembourg since 2013 to construct a new building replacing the Office des assurances sociales, building located in the district of Hollerich that has become obsolete, and to relocate the Caisse nationale d'assurance pension and the Caisse nationale des prestations familiales as the operating authorisation on their common head office will expire in the near future. The final aim of this project is to centralize all social security institutions and administrations on one single site and to create by this way a true social security city. An appropriate site for such an important project has soon been identified in the form of a plot of land of approximately two hectares located next to Luxembourg City's railway station and already partially owned by the FDC, the other part being owned by the State of Luxembourg. In this context, the Government Council approved to sell the State's part, several parcels of land with a total area of 7.678 m2, to the FDC and the corresponding deed of assignment was executed in December 2015. The development of this social security city will be realised in three lots over an anticipated period of fifteen years. In a first construction stage of the first lot, the FDC plans to build on this ground from 2017 onwards an administrative building for the needs of the social security institutions currently occupying the Office des assurances sociales as well as the Service de santé au travail multisectoriel representing together about 1000 employments. 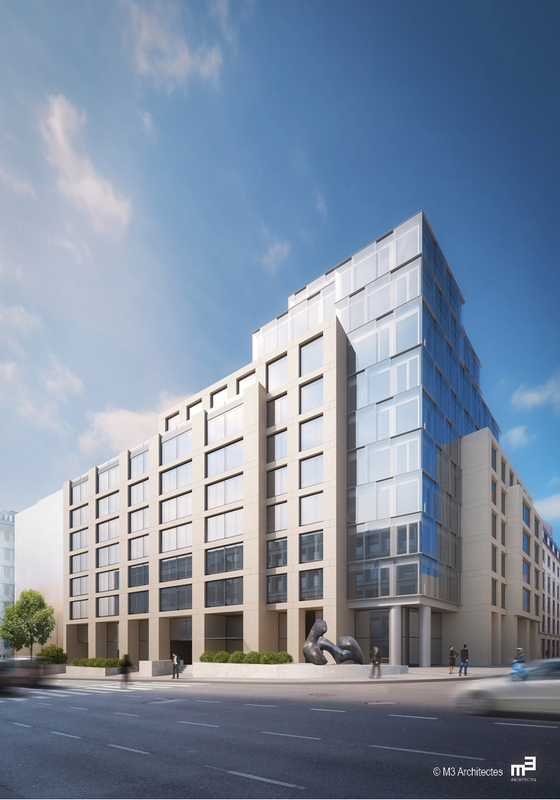 At the end of the second stage of construction of the first lot, starting probably in 2020, the Caisse nationale d'assurance pension, the FDC and the Caisse nationale des prestations familiales will join the given site. Finally, the second and third lot of the project will be carried out by the State. It will focus on the demolition of the building of the Centre de technologies et d'information de l'Etat, followed by the reconstruction of a complex of administrative, commercial and housing buildings. To realise this large-scaled project, the FDC, in its capacity as project owner, launched in April 2015 an architectural and urban call for applications followed by a consultation. Thus, among the twenty teams of architects, urban planners and landscape designers who participated, five were selected by a jury of architects and independent experts and have consequently been invited to submit a project responding to well-defined specifications and requirements. Breimann & Bruun GmbH & Co.KG Landschaftsarchitekten (Hamburg). Subsequently, the awarded team began the preliminary studies of the first stage of the first lot. In parallel, the FDC launched in March 2016 various requests for proposals to designate the project manager as well as the companies in charge of technical engineering, civil engineering and infrastructure. In July 2016, these mandates have been entrusted respectively to Luxconsult S.A., Jean Schmit Engineering S.à r.l., INCA engineers advice partners S.à r.l. and Schroeder & Associates S.A. In addition, other specialists have been appointed, particularly in connection with the energy concept and the "BREEAM" certification. In the second half of 2017 and in order to be able to start the project still in 2017, the basic preliminary design has been developed and the necessary steps to develop the specific development plan ("Plan d'Amégamenent Particulier") for the site in question and obtain the related authorizations have been taken, this in collaboration with the State and the City of Luxembourg. The Building Research Establishment Environnemental Assessment (BREEAM) certification is the world's leading sustainability assessment method for masterplanning projects, infrastructure and buildings. It measures sustainable value in a series of categories, ranging from energy to ecology. Each of these categories addresses the most influential factors, including low impact design and carbon emissions reduction, design durability and resilience, adaption to climate change and ecological value and biodiversity protection. Within every category, developments score points for achieving targets and their final total determines their rating.